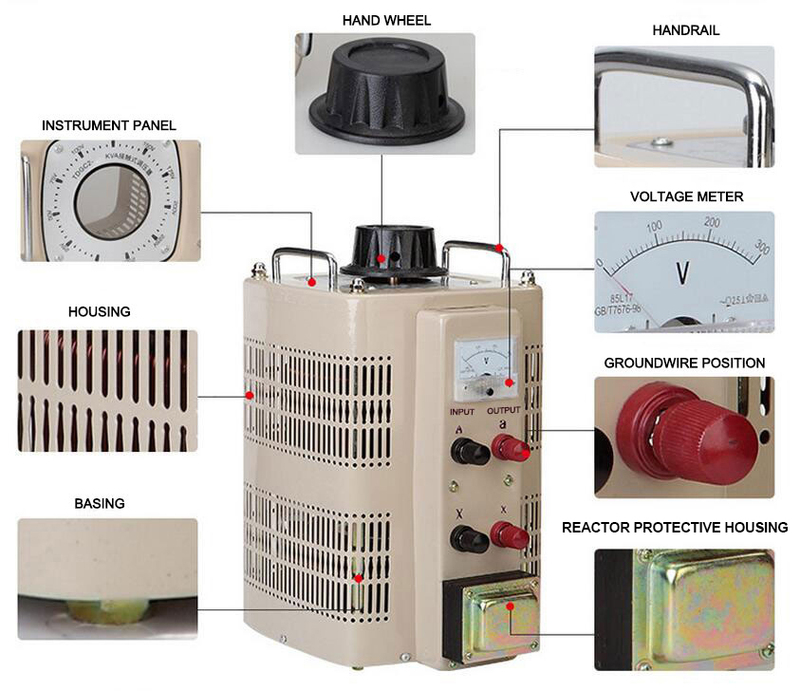 The rated output voltage is 0-250V and Rated input voltage is 220V. 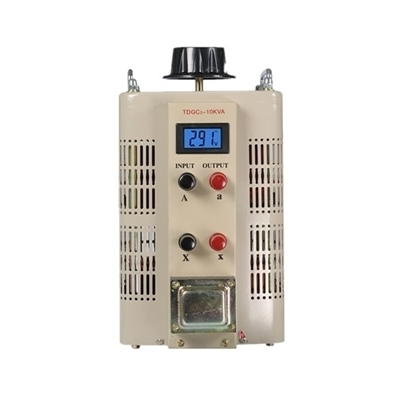 The rated output current is 80A. 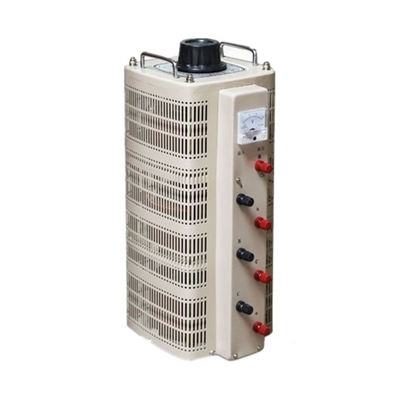 With 20 kVA power, 1 phase. 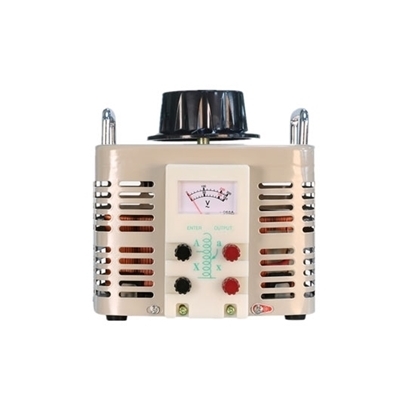 Widely used in various power supply sites with frequency 50 Hz. 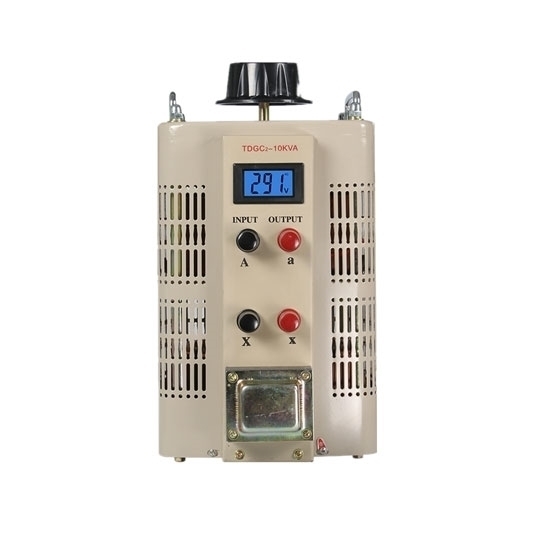 High performance and high quality variac voltage regulator. Firstly, close the outlet valve slowly and check the pressure in the pipeline between the regulator and the outlet valve. If the system works normally, the outlet pressure will temporarily increase due to closure and then become stable. If the outlet pressure continues to rise, it means that the pressure regulating valve port can not be closed, resulting in abnormal system. At this point, the voltage regulator should be switched off.